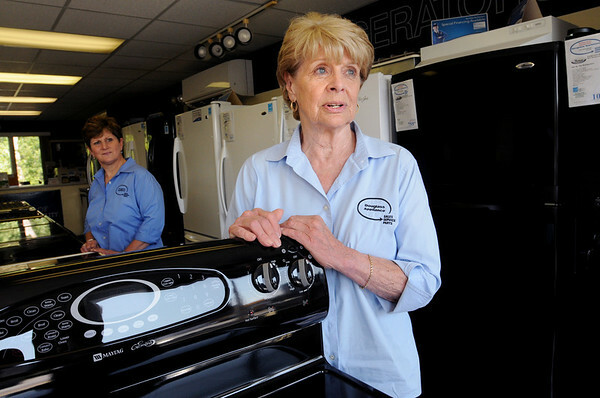 Bobbie Douglass, right, of Douglass Appliance in Danvers, speaks about the upcoming sales tax holiday. Brenda Ferris who also works there, is in the background. Photo by Ken Yuszkus/Salem News, Friday, August 5, 2011.